RAPAPORT... 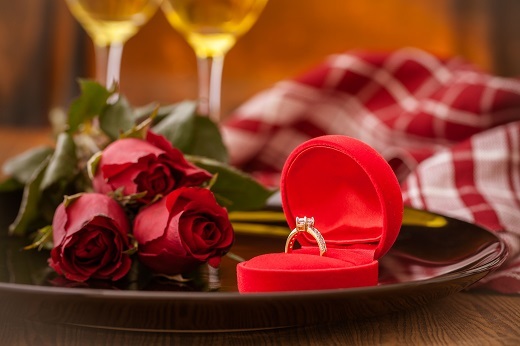 US consumers plan to spend more than $20 billion on gifts this Valentine’s Day, with jewelry topping the list at nearly $4 billion, according to the National Retail Federation (NRF). An NRF survey showed a 6% rise in the amount consumers intended to lay out on their loved ones over Valentine’s Day, for a total of $20.7 billion. The growth comes despite a decrease in the number of consumers celebrating the holiday this year, the NRF said. The total breaks the previous record of $19.7 billion, which was set in 2016. While jewelry spending totaled $3.9 billion, other favorites included an evening out at $3.5 billion, clothing at $2.1 billion, $1.9 billion on flowers, and $1.8 billion on candy. The survey found that 35% of all shoppers intended to make their purchases at department stores, while 32% chose discount stores, and 27% planned to shop online.